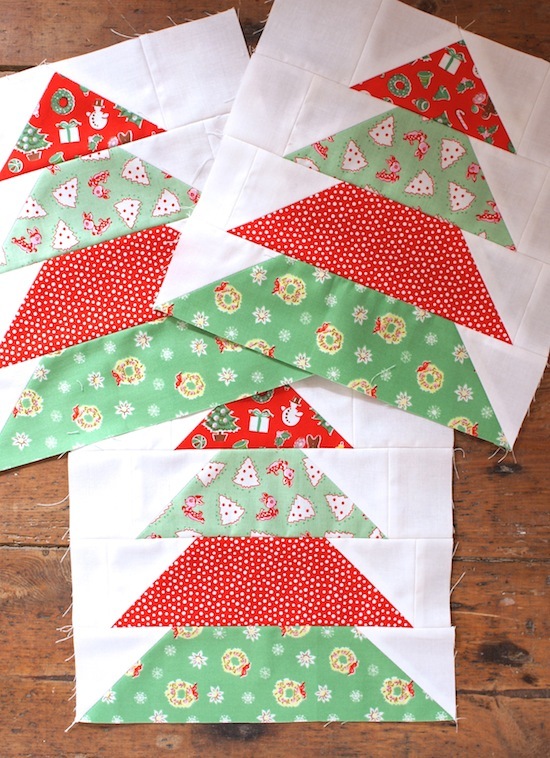 Trim The Tree is our first block on the Little Joys quilt-along hosted by Fat Quarter Shop. You can find the free pattern over on the Jolly Jabber blog, and all the QAL details here. They are nice, big, simple blocks, so putting them together should be nice and easy. We need three of these blocks for the wall hanging quilt we're making so you can chain piece galore and finish them in no time. Happy sewing! More on these next week. As much as its appalling to be stitching for Christmas so soon LOL I do like these little trees !